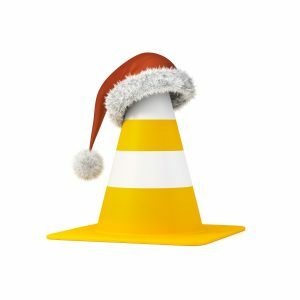 The New York City Department of Transportation (DOT) has released the details of the 2017 Holiday Construction Embargo (HE). This year, the HE will go into effect on Wednesday, November 15, 2017, and continue through Tuesday, January 2, 2018. During this time, roadway and sidewalk construction will be restricted on the affected streets from 6:00 a.m. until 11:59 p.m.
A list of affected streets is available on the DOT website, as well as a map of affected locations. Effective August 31, 2017, a new HE review process replaced the previous waiver request process. The NYCSTREETS system will now automatically identify permit requests that require additional HE review. Previously, applicants had to submit a separate waiver, accompanied by support documentation. The NYCSTREETS system warns applicants that their permit requests will be subject to the upcoming HE. Any application that includes work planned during the embargo must cite critical reasons for the work in the “Work Description” field. All permit applications that request permission to work on embargoed streets during the HE period will automatically incur an additional $135 HE application review fee. Staff members at the Office of Construction Mitigation and Coordination (OCMC) will not review any permit requests until the HE application review fee is paid. In fact, the NYCSTREETS system will automatically deny the entire application unless the fee is paid within five (5) calendar days. Also, payment of the HE application review pay does not guarantee approval of the permit request(s). Applications for emergency permits during the embargo period will also require advance payment of the HE application review fee. Applicants have until October 31, 2017, to submit online permit applications for work on affected streets during the HE period. Effective November 1, 2017, DOT will only accept permit applications in person—and for special circumstances—at its Construction Permits Central Office, located at 55 Water Street, during normal business hours (Monday through Friday, 8:00 a.m. until 11:30 a.m.). NYCSTREETS will continue to accept and process any permit requests not subject to the embargo. If you have any questions, please contact Metropolis Group at 212.233.6344.